BELLEVUE, WA, SEPTEMBER 19, 2016 – Market Leader, a provider of innovative online technology and marketing solutions for real estate professionals, today announced that it has purchased Diverse Solutions from Zillow Group. Diverse Solutions is a leading provider of IDX plugins, enabling multiple listing service listings display for real estate agents’ WordPress or custom websites. This acquisition further expands Market Leader’s presence in providing powerful sales and marketing tools for real estate professionals. Diverse Solutions provides easy-to-implement technology to help real estate professionals manage their brands and businesses in a fast and easy way. Their products include listings-search platforms, mapping capability and email management software to help agents improve their websites and thrive in a competitive market. With existing agreements with over 600 MLS organizations across the United States, Diverse Solutions is uniquely positioned to provide technology solutions that allow real estate agents to generate, track, report, and quantify their leads. 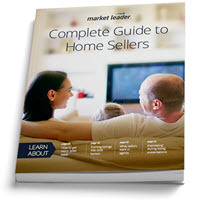 A pioneer in lead generation and contact management systems, Market Leader (www.marketleader.com) provides innovative online technology and marketing solutions for real estate professionals. Since 1999, Market Leader has helped real estate professionals succeed and grow, and today serves more than 200,000 agents, brokerages, and franchises across the United States and Canada. Market Leader is a wholly-owned subsidiary of the Perseus division of Constellation Software Inc. Perseus is a provider of software solutions to a number of vertical markets and is a leading provider of software solutions to the real estate industry through its other businesses Z57, Zurple, Constellation Web Solutions, Sharper Agent, and Birdview.